I'm Amit and I come from the small and beautiful country of Bangladesh. 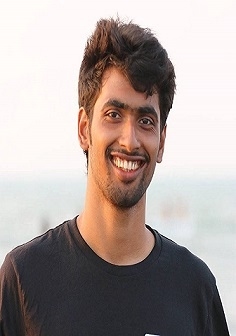 I'm currently working as a Full Stack Software Engineer at Jeeon Ltd also doing my undergraduate studies in Computer Science & Engineering at United International University. Academically, my interests are mostly in Machine Learning , Data mining and artificial intelligence,Robotics , Embedded System etc. Beyond that I also enjoy teaching,traveling,volunteering etc. Apart from that, I'm also involved in extra curricular activities in college and university. I was a BNCC(Bangladesh National Cadet Corps) cadet in Government Laboratory High school and college platoon. I am the Vice President of UIU Robotic Club from August 2016 to Now , executive member of UIU Computer Club (ACM Wing) from January 2016 to now , IT Head of ESAB UIU Unit Face from March 2016 to now and member of UIU Social Services Club, IEEE,ACM. I am also working on a university research project UIU MARS ROVER as Software and communication Lead . In my free time, I enjoy surfing internet and catching up on the latest tech news and try to learn new technology . Besides that, I love traveling, photography, cycling, playing football ,cricket ,chess ,computer game,badminton etc .